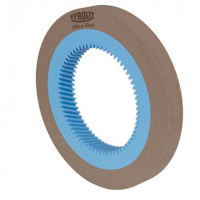 Radiac Abrasives is your partner in the gear industry. Hard finishing of gears requires high quality tools with close tolerances. Additionally, application and process knowledge as well as fast, flexible customer service is required for this industry. Radiac/Tyrolit has developed the MIRA line of products and a team of people, which is dedicated to the gear industry to meet these strict demands. This strategic move makes Radiac/Tyrolit a true partner to the gear industry and we are prepared with both specifications and knowledge to fully support all hard gear finishing requirements. Our dedicated Gear Team can be reached at gear@radiac.com or by calling (630) 566-9785. The combination of specific engineered grain and a new high strength bond system guarantees cool grinding while reducing cycle time and cost per unit. 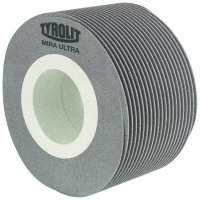 TYROLIT’s new MIRA ULTRA bond system was developed to create superior profile holding properties and at the same time offer the user a decrease in shift from part to part. ULTRA’s porous structure minimizes the risk of grinding burns commonly found in generating grinding. This powerful combination allows for decreases in cycle time as well as an increase in parts per dress. 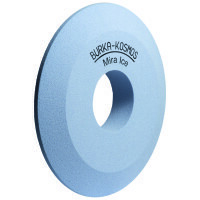 The MIRA REX product line has made it possible to provide the optimum production solution for high-efficiency honing. The continuous development of new specifications guarantees the maximum performance from the honing wheel and increased dressing intervals. 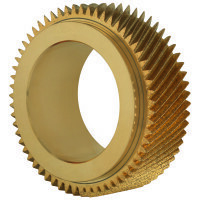 MIRA DDG is the industry leader in diamond dressing gears. Honing wheels are trued and sharpened during the dressing process. MIRA DDG guarantees optimum dressing results, the best possible tooth geometry and surface quality as well as long tool service life. 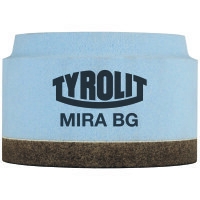 In the MIRA BG product line, TYROLIT/Radiac offers an optimum solution for grinding bevel gears. Maximum profile holding in conjunction with reduced thermal stress on workpieces allow for an increase in parts per dress. Steel or abrasive mounting plates made to customer’s specific design can be used. For more information on the MIRA product line, contact our GEAR TEAM at gear@radiac.com or by calling (630) 566-9785.